In 2016 across the nation, except Hawaii and some other deep blue states, conservative Republicans came out in mass to push back the progressive agenda of the Democrat Party. "Both Democrats and Republicans made gains... The Republican Party 's share of seats in state legislatures increased by 43 seats across the country," [ Ballotpedia ]. While here, we lost our only Senate seat , making national history, and we lost one House seat . 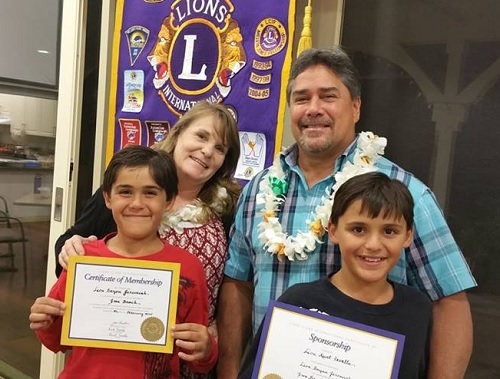 Many here have said the Hawaii Republican Party is no longer participating in the political discourse in any significant way and is a party in name only. Neil Milner said, "Two bad things result from this silence of the elephants. First, it offers no alternatives to the consensual, sort-of-liberal politics in the state. Second, that lack of discourse conceals some very important things about both Republicans and the state as a whole, things that we need to understand in order to better rid ourselves of the usual myths and conceits about this place." As I stated in my previous essay, it's time for change. 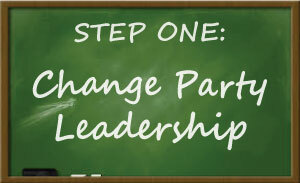 Our first step to making meaningful changes in our party is to change leadership. We have tried their way for a decade with the same results. It's time we thank them for their service, but their time has come. We hope they continue to support our new leaders and participate as delegates, but we need an infusion of new leaders and new ideas. 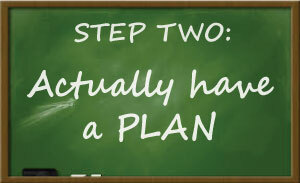 Second, we need a Plan. Every journey starts with a road map, and that's what our party leaders must have. They need to be working with districts around the state to develop a detailed grassroots field plan for the upcoming 2018 campaign. Candidate recruitment, early voting, get-out-the-vote, election day operations, communications, outreach - we need to improve in all of these areas but it will never happen without a plan, and leadership with the will to execute it. In parallel we need to be messaging, making the case to the general public how Democrat policies are destroying our state. We cannot remain silent! We must d efine the Democrats before they define themselves. We must always make the Democrats defend their record and their beliefs. Most importantly we must play offense. Third, we must adopt and vigorously promote a serious, unmistakably Republican, list of principles and policy solutions that require no explanation or discussion on their meaning or intent. Rather than the neutral LLIFE which has clearly and repeatedly failed to excite the electorate. 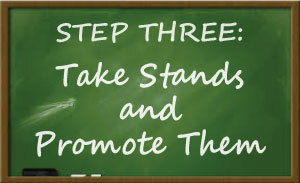 Most importantly we need you -- principled, conservative, and Christian Republicans -- to get involved. Can you carve into your schedule a couple of hours a month to spend on a weeknight and, perhaps, on a Saturday, to take our state back? Is your liberty, your children's, and your grandchildren's, not worth at least that? 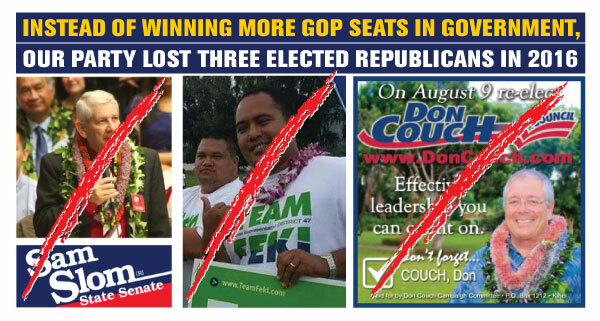 Do you want Hawaii to go the way of California, Oregon and Washington? Maybe this will help . . . Ever wonder who elects the leadership of our party? Do you know? Are you a registered Republican? Guess what? 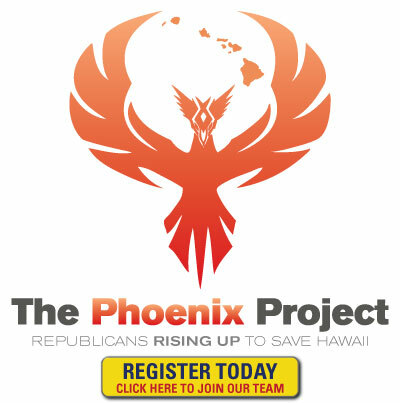 As a "mere" registered Republican voter, without anything more, you did not have a vote in the election of the present leadership of the Hawaii Republican Party. Only elected delegates get to vote for the leadership of the Party? Don't you want to have a vote in those elections so that things change for the better? Getting into position to have that right is easy and begins next month in February. Ever wonder who votes on the direction of the party, the message of the party, or where your hard-earned donations are spent? Well it's the "District Chair". 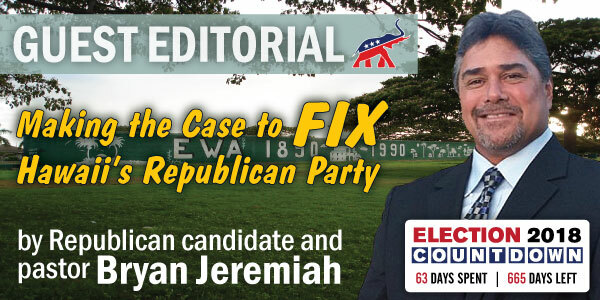 Fifty-One District Chairs from across the state make the decisions for thousands of island Republicans. Fifty-One District Chairs decide where the thousands of dollars in donations are expended, what the party message is, and in most cases the rules and platform of the party. Getting into position to have that right is easy and also begins next month in February. Proverbs 29:2 " When the righteous increase, the people rejoice, But when a wicked man rules, people groan." highest percentage of votes statewide of all GOP challenger candidates for the legislature in the 2016 General Election.